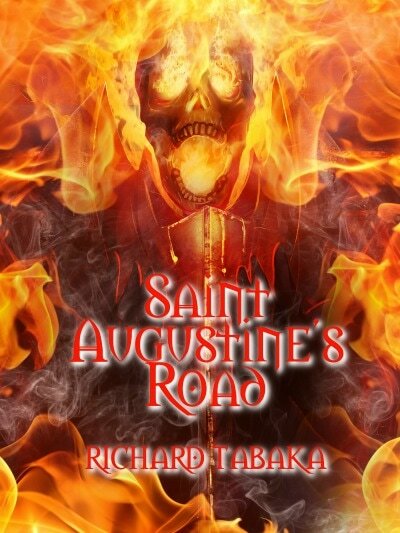 Richard Tabaka has been a fan of all things horror since he was a young boy. An avid reader and movie goer, Richard began reading Edgar Allan Poe and Bram Stoker at a young age and soon started on books by such authors as Lovecraft, Block, Matheson and King. He has seen nearly every Hammer Horror film ever made and is a fan of both classic and modern horror films, his favorites being Bela Lugosi's Dracula and Karloff's Frankenstein. He began writing stories in notebooks by the time he was in the fifth grade and the thought of being an author has always been on his mind since his mother first encouraged him to read so many years ago. 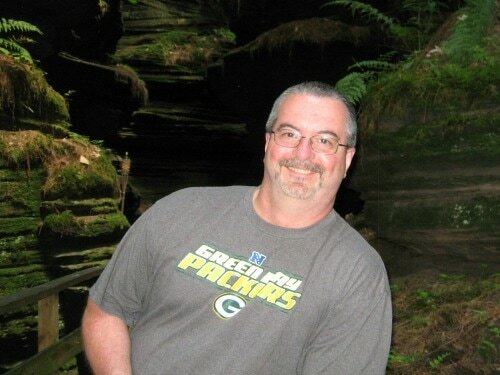 He resides along the banks of the Wisconsin River and can often be found wandering the wilder places of both Wisconsin and his own imagination. An ancient evil stalks the forests. Humans are on the menu. Will a mother's love be strong enough to defeat it. Nick Barrett is a down and out Marine. His Special Forces training lets him adapt and improvise in any situation. Suzanne Reynold's is a mother in search of her lost child, and she will not let anything get in her way. Thrust together, they must face an enemy that is unmatched at killing. They put together a rag tag army that has no chance of suceeding and take on the myths and legends of the night. Ancient predators that see mankind as their sport and their next meal. They love the taste of fear and you are on the menu. Their tranquil lives have been destroyed. Cassie and Bill have gone missing. The family suspects they have been taken by elements of a Shadow Government known as Black Pentagon, and its leader, General Arthur Lee. Nick, Suzanne, Heather and Jim, join forces with a handful of friends and an unlikely pair of allies, to take on two terrifying adversaries at once. Deep under the verdant lands of Tennessee, a maniacal General has created a Super Soldier and he will soon have the power to create many more. The General has ambitions. Ambitions to be a God. As he prepares to unleash a deadly plague, an evil Queen holds ambitions of her own, as well as an ancient secret weapon unlike any other. Driven by the desire to reunite her family, Heather will lead the charge. Pride Fight takes you on a mind bending ride of an America you never knew existed. A world where Shadow Governments and bloodthirsty creatures vie for power. Deep under the everyday America, we all know and love, lies a world of dark ambitions you will barely believe. Evil lurks in the hearts of man and hidden within the world of THE PRIDE! Neal Carter wanted Wisconsin to be a new start. After Kaylee’s disappearance, he felt they needed it. With the dream of opening a new restaurant, Neal moves the family to the outskirts of Green Bay, Wisconsin and a new home along a picturesque rural road. Besides, it was too good of a bargain to pass up. But all is not what it seems along the quiet, rustic stretch of Saint Augustines Road. Kathy, Neal’s wife, is experiencing unexplained problems. She sees, hears and smells what is not there. As the one year anniversary of Kaylee’s disappearance approaches, Neal thinks it is just the stress of having lost her first child, but Kathy is convinced otherwise. And the longer they remain the worse it gets. Cora Carter is just thirteen and has left the only friends she has ever known back in Ohio. A chance meeting with a Psychic scares her to the core as she is plagued by nightmares and visions that are becoming all too real. Bullied by two girls at school, she retreats further into an ever darker world. In the old barn at the back of the property, she finds an old guitar and a cigar box filled with girls jewelry, while at school she meets a new friend. Together they are all that keep her from going insane. Little Hannah is the youngest member of the family, she likes their new home and the backyard swing that hangs from the branches of an old oak tree. She likes her new friend too, even if no one else can see her. As Kathy Carter seeks answers, she turns to the comfort of the old church just down the road. But the answers she finds are too horrifying to believe. Born of fire, what awaits them is pure evil. What secrets lay hidden in the past? What horrors have found their way into the future? Something is coming. Evil resides along SAINT AUGUSTINE’S ROAD.